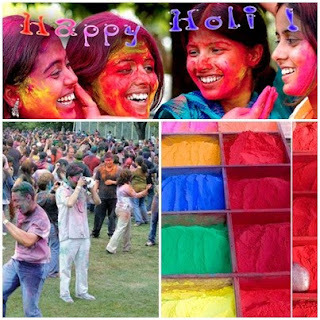 Holi, otherwise known as "Spring Festival" and the "Festival of Colours" is one of the most celebrated occasions in India. This year it falls on the 1st of March. I'm early but we need to be prepared for it now. 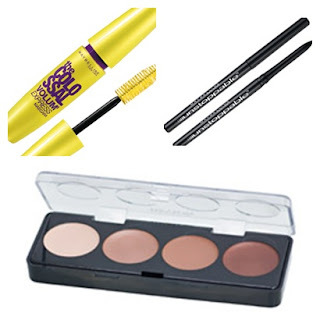 Face ~ Pick a silicone based or water resistant foundation like L'Oreal True Match or Mac Face and Body foundations. Apply on face and neck. Set it with powder. 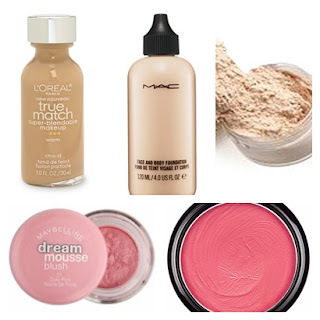 Add a bit of color to your cheeks with cream blush. It wont shift and slide when you're drenched. Lips~ Lipglosses are a NO-NO on this particular occasion and I don't think that needs any explanation. Pick a matte lipstick. If you don't have a matte lipstick, just apply any lipstick you have, place a single ply of tissue over your lips and dust some powder right on the tissue. Peel off the tissue. 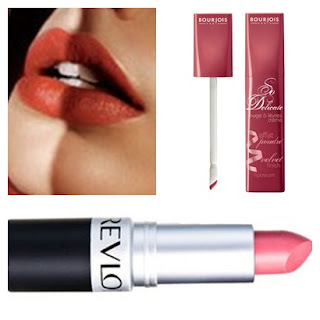 Perfect matte long-wear lipstick! 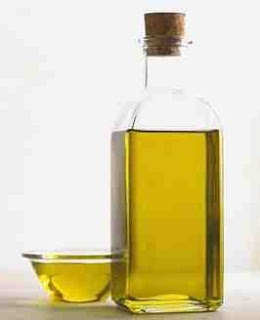 On D-Day apply olive oil to the exposed parts of your body like arms and legs. This will prevent the colored powder from sticking to your skin making it difficult to wash off. Don't forget your ears. Nails ~ Nail polish is necessary. It is a pain to clean the corners of your nails, so this tip might help a bit - One hour before you go out and play, apply a top coat all over and around your nails. This means the areas outside your nails as well. If you have long nails, apply on the insides (under your nails) too. Just a thin coat is enough. If it's too thick, it will peel off easily. Believe me, this will make cleaning so much easier. All you'll need is nail polish remover, soap, a toothbrush/loofah and water. Oil your hair with coconut or olive oil to protect it from the colored powders and tie it up. Below are some glam updos you can style your oily mane into. You can add some accessories like hair bands, bows or fancy clips if you want to. Before jumping in the shower, massage olive/coconut oil to wherever color has adhered to to loosen it from your skin. Let your hair down and comb through it to disentangle. Use a loofah and bodywash to wash off everything. Shampoo your hair and apply conditioner generously. Wishing all my fellow Indians a fun & colorful Holi! you've given this alot of thought!! hope you have fun! I've seen this in some Indian movies and it looks like so much fun, although I can imagine it getting messy but the colors are gorgeous! I am jealous I'll miss out on all the fun. && Awesome tips as well. Hey, gr8 tips. I had never really thought of ever using makeup on Holi, coz i worry about a reaction with the gulal.. I generally just slather myself in coconut oil. I actually really like Holi - but I hate what it does to my skin - it makes it look really bad and rough. I really like all the tips - especially the nail paint tip and will def try some of these out..
holi festival sounds like fun! btw happy holi in advance . I've seen Holi being celebrated in a documentary before. It looks like a lot of fun but I did wonder then about the tedious task of washing off. This was such an interesting post. I don't get to celebrate Holi but I sure learnt many tips and tricks here.